A fun and delicious holiday treat! 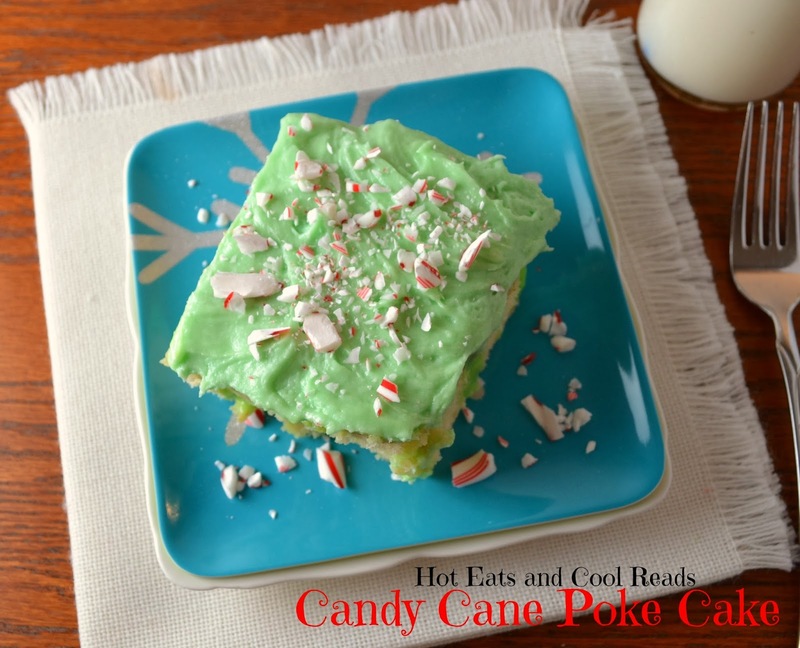 Full of peppermint goodness, it's great for any holiday celebration! I can't believe we are only a couple weeks away from Christmas. Time sure does fly. I have the perfect holiday dessert for you today thanks to my friends over at Eggland's Best Eggs! 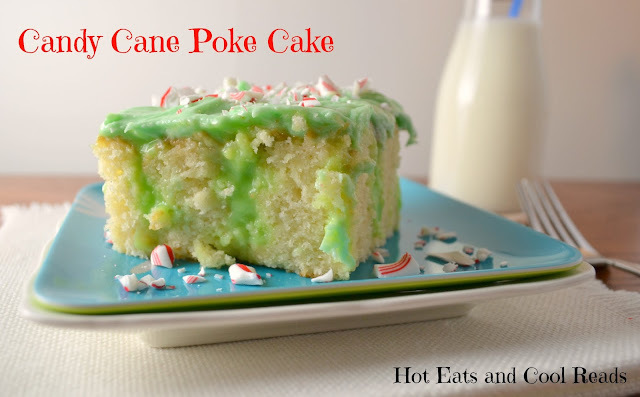 This Candy Cane Poke Cake is pretty amazing and your family and friends will love it! I really like the slight mint flavor from the pudding and the cream cheese frosting on the top is to die for! I have a feeling this will be on our menu at Christmas time from now on! My daughter is a huge mint lover, so this cake was her favorite out of any dessert recipe we make! In a large mixing bowl, with an electric mixer, beat sugar and eggs together until combined, about 1 minute. Add flour, milk, oil, baking powder and vanilla, and beat for another minute until the batter is smooth and creamy. Pour into the baking dish and bake for 30-40 minutes until top is golden and a toothpick inserted comes out clean. Cool for 10-15 minutes. Using the end of a kitchen wooden or plastic spoon, poke holes in the cake, all the way down to the bottom. make pudding according to package directions. Stir in peppermint extract. (small amounts at a time to taste. I had ultra concentrated stuff, so my measurement won't be accurate for most of you.) Then stir in food coloring a drop at a time until you reach your desired color. Immediately pour the pudding over the cake poked with holes, and spread around with a spatula until the holes are filled with pudding and pudding is evenly spread over the top. Refrigerate for 2 hours, until pudding is set. With the mixer on low speed, add the powdered sugar a cup at a time until creamy. Beat in the vanilla, then beat in the food coloring one drop at a time until you reach your desired color. Spread the frosting on the top of the poke cake and refrigerate until serving. When serving, sprinkle crushed candy canes over the top of the cake. Refrigerate any leftovers. I love poke cake ;) I agree with your daughter about mint - mint rocks - especially this time of year! This sounds like a wonderful holiday treat, Sheena! Pinned it! SUCH a pretty-ful cake. It sounds wonderful! Thanks so much for sharing at Weekend Potluck. Keep 'em comin!